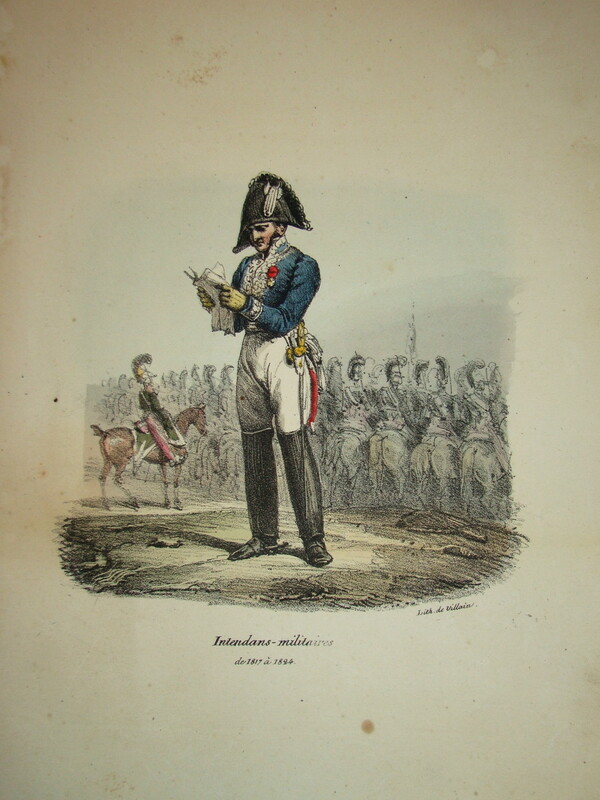 The logistics of the French army in the Crimea were the responsibility of the Corps d'Intendants Militaire, an organisation created in 1817 by Marshal St Cyr. It was formed from the fusion of the Commissaires du Guerre (War Commissaries) and the Inspecteurs Aux Revue (Review Inspectors) - the former were responsbile for procurement and supply, the latter for quality control and superintending the internal administration of every regiment in the army. Thus, from the outset, the Intendance Militaire suffered from a split-personality: responsible for procuring supplies and also checking their quality. There were three tiers of administrative structure to the French logistical personnel in the Crimea. At the top were the Intendants themselves. They were recruited from Capitaines of all arms who had experience of Battalion or Regimental administration and had passed the entrance exam into the Intendance. Admittance to the Intendance was particularly attractive to middle-aged and less spectacular graduates of St. Cyr who had steadily worked they way through to Captiaine, and saw the additional pay, status and less chance of risk to the self as a good career move. It was also attractive to the Sub-Officer who had worked his way up from the ranks and who tended to gravitate toward the posts of Adjutant-Major which brought additional status, something especially needed in the two-tier system of promotion and hierarchy amongst French officers. These men tended toward being middle aged, well-grounded in the military life and intricacies of Regimental administration and as a result were perhaps over-enamoured of red-tape and doing things "by the book" - a common complaint laid against Intendance officers. Furthermore, becoming a Fonctionaire of the Intendance gave considerable status: although technically civilians in uniform, their authority sprang directly from the Minister of War himself. Intendance staff also found themselves much-abused by regular Line officers - despite technically civilians in uniforms, the Intendance had succesfully petitioned to be granted some miliatry marks of respect. For example, an Intendant held the equivalent rank to a General of Brigade, and thus when on his annual inspection of units, demanded that a regiment march past him, with the Colonel at its head and salute him. 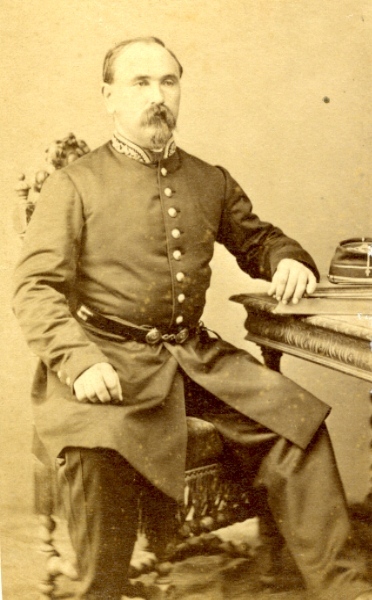 They also gave themselves the airs and graces of combat officers; the artillery officer Charles Antoine Thoumas relates how in the Crimea one of his Sub-Officers failed to salute an Intendant who immediately flew into a fit of rage, had the Sub-Officer arrested and placed in the guard room for four days. As soon as his Colonel found out the Sub-Officer was released and the Intendant was reprimanded. The demand for status and being saluted perhaps stemmed from the fact that many Intendance officers had been long-service army officers and had perhaps not quite left that behind. The Intendance was also resented as it had the power to inspect a regiment's books whilst its own were never the subject to an official audit. Intendants annually inspected the regimental books and as a result eroded what little authority the Major had left and also his staff of Capitaine and Lieutenant Adjutant-Majors. The Major had, prior to 1818 been the second-in-command to the Colonel and also in charge of regimental adminsitationl. Thereafter, with the creation of the rank of Lieutenant-Colonel the Major found himself a non-executive officer, relegated to managing the internal affairs of the regiment. Next down the tier was the Corps d'Administration which consisted of the Officiers d'Administration and the 14 independent Sections des Ouvriers d'Aministration. The Officiers d'Administration were divided into five disctinct departments: the first for management of the military hospitals; the section for clothing; the third for food; the fifth for office personnel of the Intendace itself and the fifth for military justice. The 14 Sections of Ouvriers (military artesans) consisted of self-contained units which supplied all the butchers, bakers, carpenters and nurses needed on campaign. Sections 1 - 12 were responsible for food, rations and supply, the 13th for clothing and the 14th for campaign equipment. 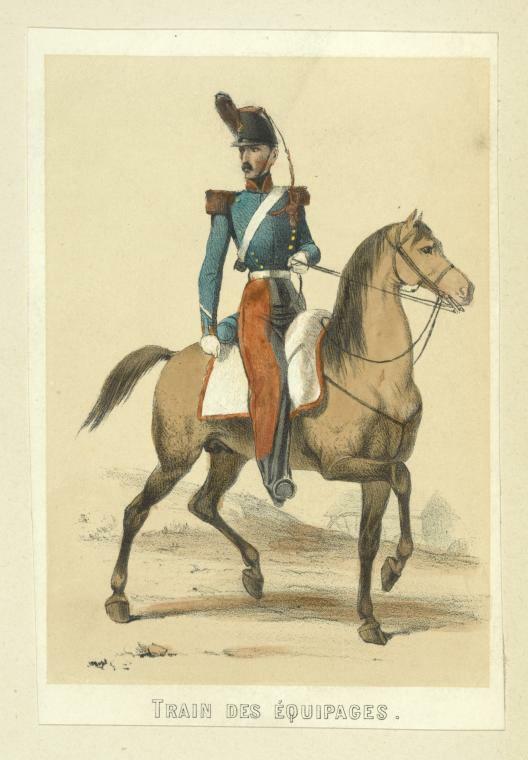 The Ouvriers, combined with the Sections Hors Rang (company out of ranks) within each regiment who made all the uniforms and equipment each regiment needed, meamt the French army was self-sufficient and not reliant upon contractors - but contractors such as Godillot of Paris were used when the army was unable to meet demand. The French army relied upon the tried and tested Magazine system whereby large centralise stores of all the supplies the army needed were established within Metropolitan France and at staging posts on the Lines or March. This meant that communication from the centre to the periphery was via several short lines of communication, rather than a more vulnerable single line as used by the British during the same campaign. Major magazines were established at the Ports of Toulon and Marseilles to a) feed and equip formations centred there prior to embarkation and b) to forward to the Forward Depots at Bourgas and Varna. A Forward Depot was also established at Algiers. This system sped up communication from the centre to the periphery but unless the means of transport and communication were in good working order, the system could become choked and slow down. 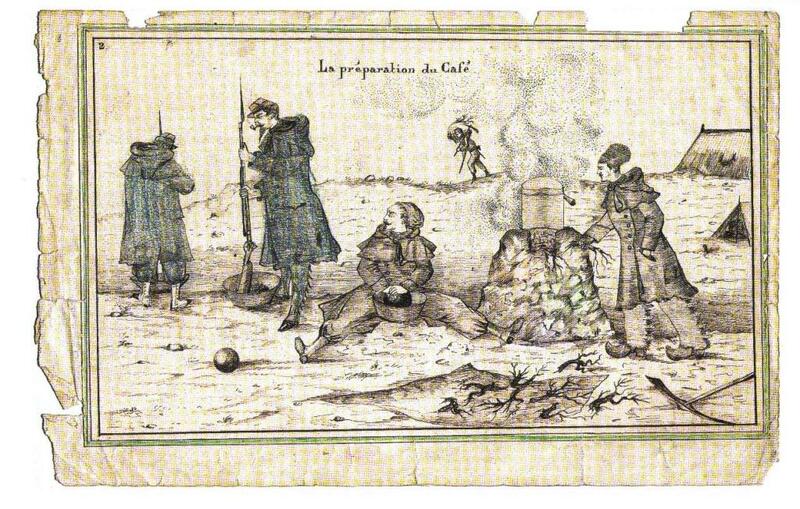 Furthermore, large magazines were vulnerable to marauding soldiers (friend and foe) and also to natural disasters such as pets (as the French discovered at the reserve Magazine at Maslak where General St Jean d'Angely was forming the Army Reserve and the Magazine was virtually desroyed by rats) or the fire on 14 August 1854 which destroyed the Magazine at Varna. The loss of the magazine at Varna was one from which the Intendance never appears to have recovered. The entire stock of tents, campaign equipment (camp kettles, mess tins etc), bread and biscuit were destroyed and of the mobile soup kitchens, only 27 remained servicable. This meant that the Intendance had to call on supplies directly from Marseilles, Toulon and Algiers to supply the bread, biscuit and campaign equipment required. Marshal Saint Arnaud wrote to Napoleon III that the army was not able to take to the field for want of such essential supplies! Due to the unexpected loss of the stores at Varna, the already stretched Intendance and Corps d'Administration floundered under the strain and the French army had to turn to civilian contractors in Paris and in London to supply shoes (which came from Northampton) and tinned beaf strew (Boeuf Bouilin which British soldiers, unable to pronounce, called "Bully Beef") came from London. To make matters worse, there had been a bread famine in France due to a severe winter followed by a wet summer which mean that grain prices had rapidly increased and that French merchants were hard-pressed to meet the demand placed on them by the Army. This was in some way mitigated by the French prevelance of foraging on campaign - despite it being contrary to the Ordonnance of 1832. The supply of clothing, equipment and food was de-centralised, taking power away from the Intendance during the late July Monarchy (1830-1848). This entailed the creation of the aforementioned Sections Hors Rang within each regiment which contained not only all the clerks and orderlies needed to manage a regiment behind the scenes but also expert artesans such as the Master Tailor, his assistents, workmen and apprentices; the Boot Maker, Gaiter Maker etc. Although these quasi-military personally were distrusted due to their peculiar status they meant that each regiment was self-sufficient in clothing and equiping its men. Self sufficiency also extended to food. The Caporal-Fourier of each company, accompanied a Caporal (Corporal) and those on his defaulters list would every morning go into the local town and buy all the food required by his company. The food would be then taken back to barracks and then cooked and prepared in the kitchens by those men detailed for that duty. Rations were also supplemented by the highly efficient system of Cantinieres, from whom additional food stuffs and other neccessaries could be purchased at a price regulated not to exceed that in the local town or village. Furthermore, each member of an eight-strong File invariably messed together, putting his own rations into the communal cook pot, so that the limited rations went futher. There was also very little a French soldier would not eat, and being mostly from rural peasant stock compared to the urban working class who made up the bulk of the British army, they were more able to look after themselves on campaign and used to being able to find a meal from the countryside. Stores and supplies were moved by the Train des Equipages an organisation formed by Napoleon I in 1807. During the Crimean War it consisted of six squadrons, each squadron consisting of four companies: three were war companies and the fourth was the depot. 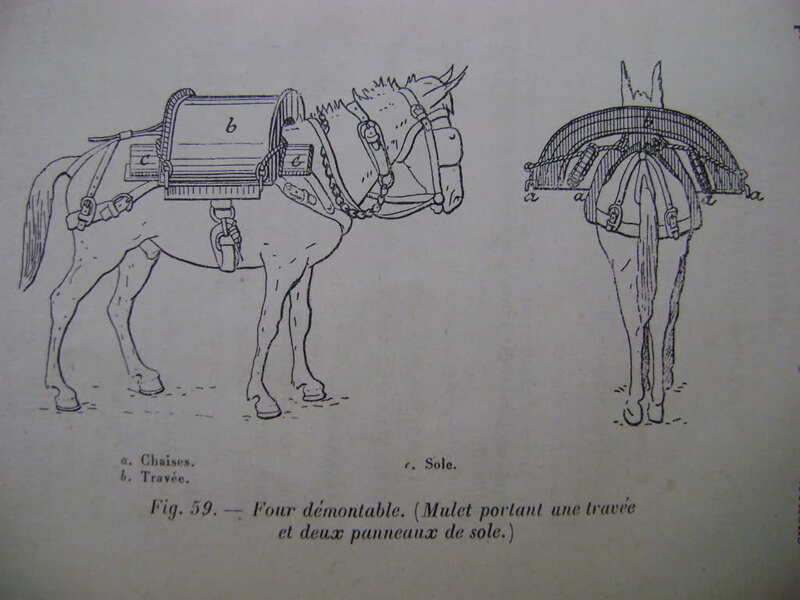 Two companies were reponsible for wheeled rolling stock whilst the third was reponsbile for pack mules and transportation of the wounded. In times of war each squadron was to act as the Cadre for a supplementary squardon or Escadron Bis (Bis means "again") which effectively doubled the man-power of the Train. One squadron was attached to each Division. If the supplemtary squadrons proved insufficient- as they rapidly did - then the Train Auxilliare (Auxiliary Train) was to be formed from either hiring-in civilian contractors, or, more usually, roudning-up any carter close to the army, placing him under military discipline and pay, and commanded by regular Train Sub-Officers and Officers. The French sound found this a very expensive and badly-disciplined alternative as the hired-in Bulgarian drivers and carters demanded extortionately high pay whilst the Turkish drivers resented being commanded by "infidel" officesr and also demanded guards be placed in case of Russians. To make matters worse, there was a shortage of draught horses. The remount expedition headed by General D'Allonville into Bulgaria and Turkey-in-Asia was principally for riding horses, the majority of which were considerably under regulation height even for the Light Cavalry, averaging less than 14.0hh. This meant that the cattle intended to feed the army became draught animals, a role which many did not take to willingly which meant that the already chaotic transport situation was made worse through the unwilling and slow-moving bullock-trains! The hide-bound and over-beaurocratic Intendance personnel, combined wtih the destruction of the stores at Varna toghether with the chaotic transport situation meant that troops at the front suffered from lack of food, fire wood and even the most basic shelter. General Bosquet complained to the French CinC, Francois Canrobert that "Nothing will go right here unles you set up two gibbets, one on each side of your tent, containing an Intendant and an Officier d'Administration". His men had not been fed regularly and furthermore many of them did not have any shelter. The lack of tents was compounded through a storm which wrecked part of the French camp on the 27th October and again in the "Great Storm" of 14th November - because the stock pile of tents at Varna had been destroyed and had yet to be replaced, despite the repeated petitions of Bosquet, no tents were forthcoming which mean on average he lost 50 men per regiment per night from exposure. As a result, Canrobert ordered his men to make "underground houses" by digging a trench and roofing it over with branches and rendering it waterproof with mud or where tents did exist, by digging a sort of cellar beneath them to increase the head room. Despite its many failings, the Intendance and therefore French logistics during the Crimean War suffered from unexpected disasters: the loss of the stockpile at Varna (most importantly) and that at Maslak and the "Great Storm"; chaos in the transport (Train) due to insufficient personnel leading to reliance on locally hired drivers and carters who were far from disciplined or organised which was made worse through a lack of draught horses. 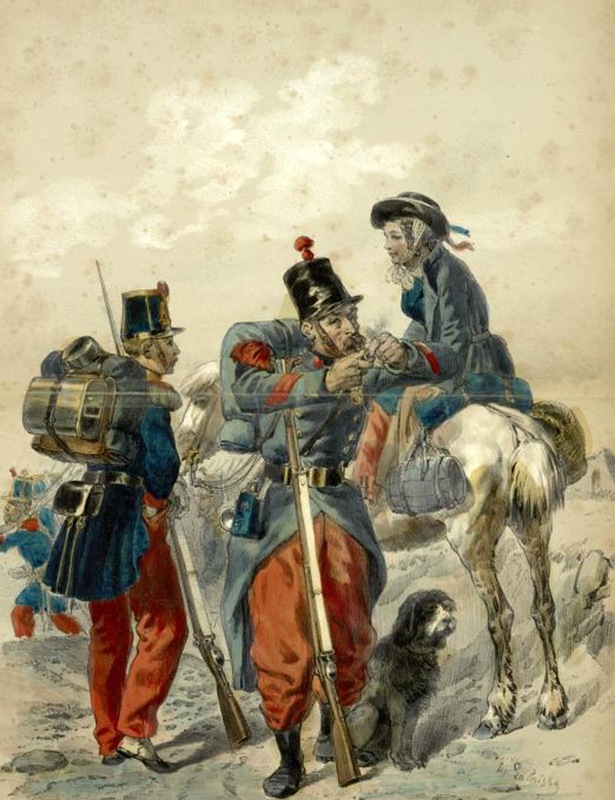 French soldiers, however, did not go as hungry as their British counterparts did when their logistics failed them because the French were adept foragers, they had communal messing arrangements were each soldier put his rations in to the communal pot and at battalion and company level, supply was decentralised and not reliant up on the centre.